The hardest part about getting a off the ground is getting your employees motivated and willing to participate. You can have the best ideas in the world but unless people are actively using your program, you won’t be able to reap the benefits that come with a healthier workforce, like lower health insurance premiums and less sick days. One of the best ways to encourage employees to join is through the use of incentives – as incentives motivate employees. Simply put, an incentive is anything that helps to motivate someone to do something that they otherwise wouldn’t choose to do. Incentives come in many forms and can include monetary bonuses, time off work, gift cards and other perks. What works best for one company may not work as well for another. 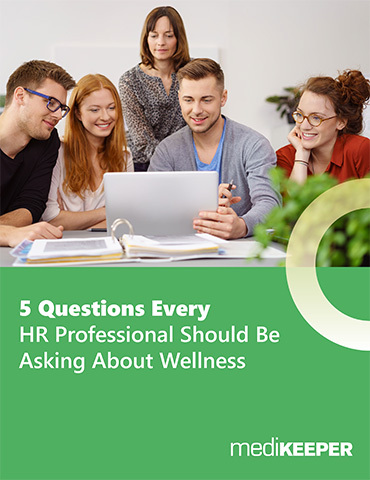 Talk to your employees to find out what would best motivate them to participate in your wellness program. Money/Gift Cards – If there’s one thing that is practically guaranteed to catch someone’s attention, it’s the opportunity to make money. By providing a monetary incentive, you may be more likely to encourage a wider range of employees to participate in a particular challenge. After all, they have nothing to lose and a lot to gain. For example, you could foster a sense of competition by promising a reward to the employee with the highest step count for the week. Gifts – Choosing a fitness related prize, such as a fitness tracker or a water bottle, may prove beneficial as it both offers an incentive and encourages healthy habits. More pricey gifts, like the tracker, could be a reward for the top performer while cheaper alternatives, like the water bottle, could be given to anyone who reaches a certain benchmark. Office Party – Who doesn’t love a good party? Give your employees a break from the work day and throw an in-office party instead. You could use this as a reward for everyone coming together to achieve a group goal, like walking a certain number of miles in a week or month. An incentive that brings the entire company together to work towards a goal can be extra motivational as everyone is counting on you to pull your weight in a group effort. Extra Paid Time Off – Earning paid time off is almost as valuable as straight up cash. The chance to add a few extra hours to spend with family or add a day to a vacation can be a big incentive for many people. Plus, employees often return to work refreshed and more focused after time off so this reward is really a win-win for everyone. Health Insurance Plan Discounts – It makes sense that the better you take care of yourself, the less expensive your health insurance premiums should be. After all, if you’re taking steps to improve your overall health, it’s less likely that you’ll need to use your insurance to cover health costs. If employees are taking an active role in making good health decisions, you can offer a discounted insurance plan as a reward for reaching certain milestones. In an ideal world, everyone would make healthy life choices. In reality, there are lots of temptations to lead you astray from taking care of your health and people often need an added push to make the right decisions. Incentives motivate employees and offer that extra motivation. Now, there are two reasons for eating well, exercising or quitting smoking: the knowledge that you’re taking care of your health and a tangible reward to show for your effort.